The Rav 4 has a 60litres fuel Tank that can take you about 650 -700kms depending on the terrain and nature of driving. Its Full time 4WD capability renders it the power to maneuver through the dusty, muddy and sometimes steep slopes around the countryside. The Rav 4 is a compact suv with enough luggage space with remarkably great power in comparison to other suvs. Our team has used it for the past 5years and we do not have any major complain that could divert us from using the Rav4. The Rav4 in our Rental Fleet as part of the car rental services comes with a comprehensive insurance, Bradt guide book, Uganda road map, unlimited mileage, first aid kitbox, 24-7 roadside assistance and great insider travel tips. 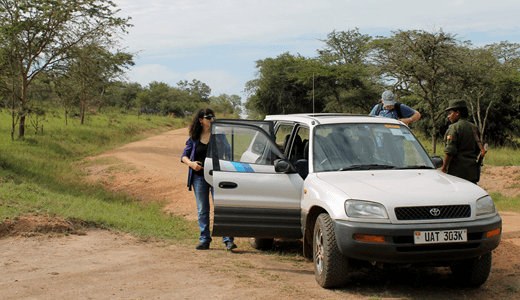 Renting a 4×4 car for a self drive is a trend of Flexible individual travel to traveling in African countries. 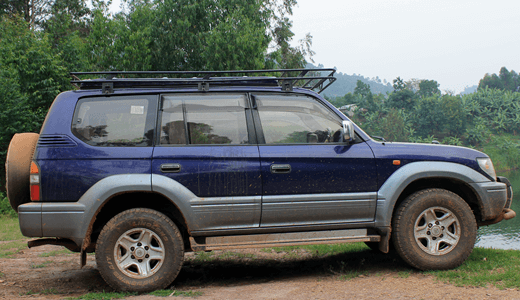 Self drive safaris are also cost effective measures for the budget car hire travelers in Uganda. 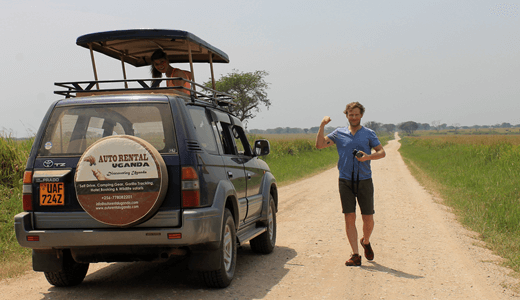 Whether you’re planning a self drive safari holiday, a business self drive trip or whatever your car rental in Uganda maybe, A self drive car rental tour is the ultimate and flexible way to discover the pearl of Africa at your own pace with you behind the wheels and at the best rates from Auto Rental Uganda. From encountering the great apes, track the endangered mountain gorillas, chimpanzees and Golden monkeys, Photograph the famous tree climbing lions, incredible wildlife, amazing water bodies and water falls, beaches, rafting, spectacular sceneries, in-depth traditional cultures, great foods, and yes, meeting the most friendliest people in Africa. You will absolutely have pressed the right button. We have traveled and personally driven on a self drive to almost every corner and destination in Uganda. 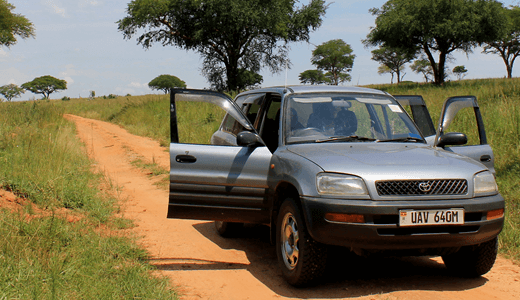 With no doubt, we believe Uganda is just the perfect holiday destination and so is the combination of our recommended cars for self drive along the Uganda roads to deliver an inspirational journey. Our 4X4 safari Land cruisers and the sturdy budget full time 4WD Rav4’s among our Fleet are just the perfect vehicles to get you through the bumpy and scenery terrains.